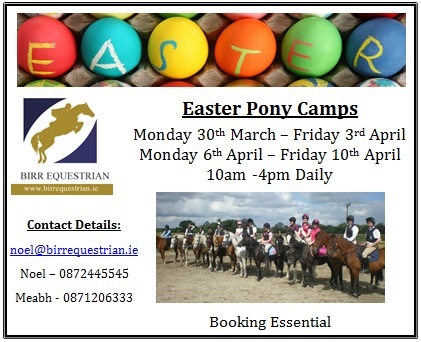 Our Easter Pony Camps will run from Monday 30th March - Friday 3rd April and Monday 6th April - Friday 10th April from 10am - 4pm daily. 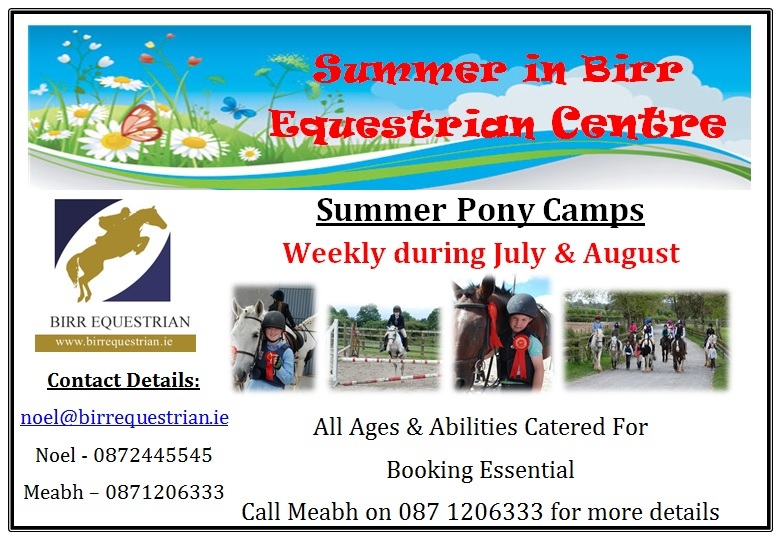 Children will have the opportunity to learn about all aspects of pony care including stable management and flatwork and jumping lessons during the week!! For more information or to book a place contact Meabh on 0871206333. Meeting in Kinnitty at 12.30pm tomorrow, Sunday 22nd March!! Contact Noel on 0872445545 for more information or to book a place!! There are currently horses/ponies available to hire for all of the above events!! 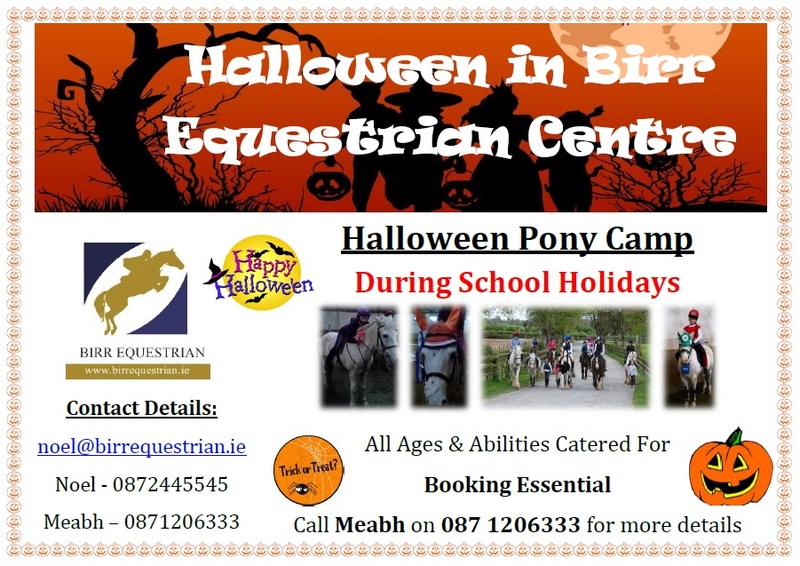 Contact Noel on 0872445545 or Meabh on 0871206333 for further information and bookings!! We are delighted to have Jillie Rogers BHSI, BETCM and List 4 Dressage Ire judge visit us in Birr Equestrian Centre on Wednesday 4th February! Flatwork or Jumping lessons are available on a private/semi private or group basis. You can either bring your own horse or hire one from us but places are VERY LIMITED!! So booking early is advisable as once the places are gone, they are gone! Anyone intending on taking Stage exams in the future months should avail of this opportunity as Jillie is also a Chief Assessor for the BHS exams, so therefore can give you some tips on how to improve your potential!